The answer is that a very common source of chronic musculoskeletal pain has - until now - remained unknown. For this reason, the best that people can do is merely manage their chronic pain. 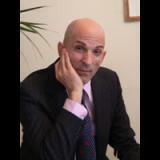 In Professor Rothbart's groundbreaking book, Forever Free from Chronic Pain, Chronic Pain Expert, Professor/Doctor Brian A Rothbart finally reveals the secret to success for thousands of his patients who live pain free lives. He details his life's work and discoveries about a previously unknown, yet very common source of chronic muscle and joint pain, and provides a full explanation on how you, too, can finally free yourself from the bonds of chronic pain captivity. Why your current treatments for chronic muscle and joint pain don't work. What is the solution to end your chronic musculoskeletal pain - permanently. How to quickly determine if Professor Rothbart's therapy is for you. How you can take immediate action to rid yourself of your chronic pain. How, through advanced technology, your body will heal itself for good. Professor Rothbart has spent the better part of 40 years in research and clinical practice in order to first find the source of chronic musculoskeletal pain and then how to permanently eliminate it. In his revolutionary approach, patients the world over have been treated successfully where all past therapies have failed. Through his innovative therapy as detailed in this book, you can join thousands of patients the world over who have gotten their life back and are now living forever free from chronic pain. "Dr. Rothbart's new book - Forever Free From Chronic Pain - is clearly a successful culmination of many years of tireless research and clinical practice, and is a 'must read' for anyone that has not found the answer to their chronic pain." "Thank you for the privilege of reading your most important book. I am so impressed that I have immediately referred my wife to you." "Finally, a real solution to help millions free themselves from the chains of chronic pain." "Virtually everyone experiences back, leg, head, or other body pain at some point in their lives. Millions of people suffer with chronic pain. Unfortunately, a large number of these individuals are not finding a pain management system that successfully relieves their suffering. Surprisingly, Dr Rothbart states that the problem for many of these sufferers is actually in their feet, a slight malformation caused in the womb. In fact, many dangerous operations are being done needlessly. Indeed, think of the pain medications being given without ever exploring the real reason for the pain. It’s so very shocking, especially given that problem is completely reversible. Dr. Rothbart began his research in an attempt to understand his own chronic pain. His studies led him to very successful trials not only in discovering continuity in the underlying cause of chronic musculoskeletal pain but also in effective ways of treating this malformation. Dr. Rothbart`s work is absolutely fascinating and truly enlightening."